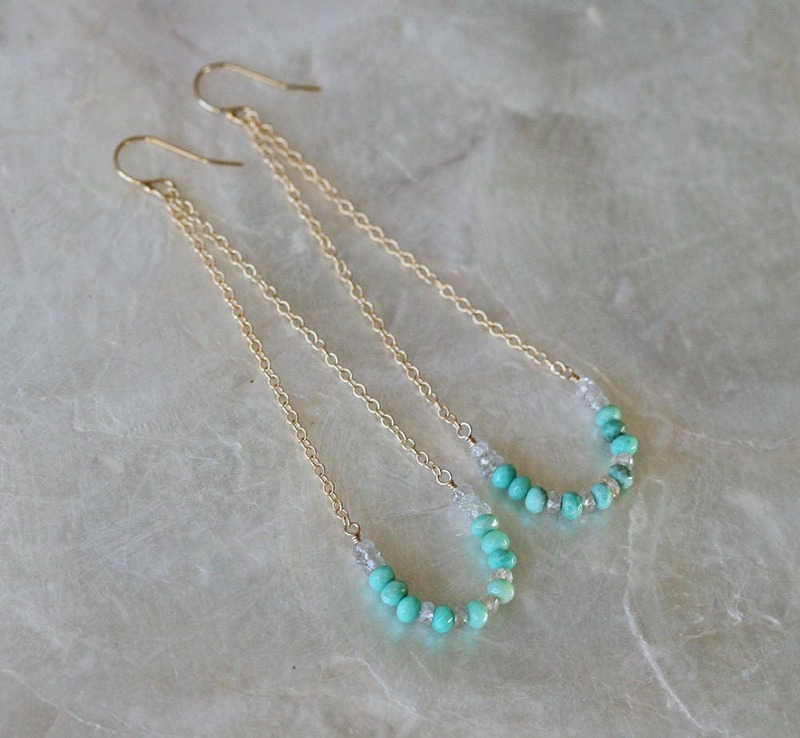 Summer swing earrings are just the right amount of dangle, color and sparkle for everyday this summer. 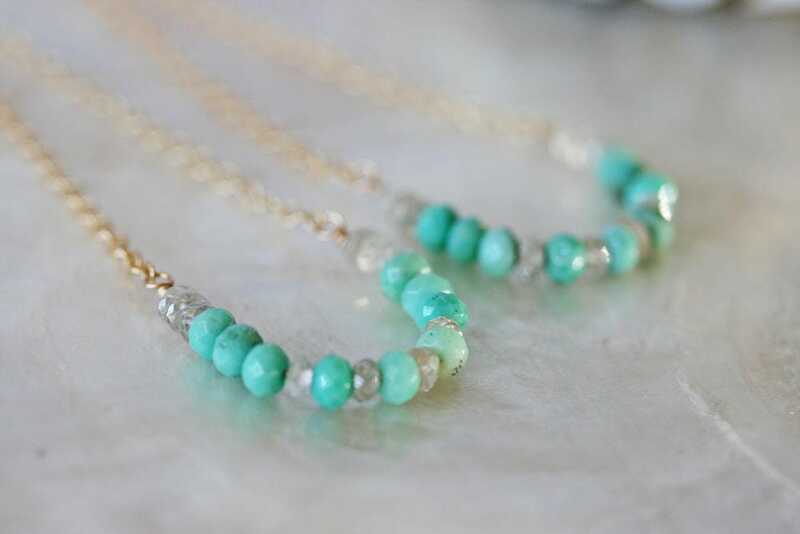 The smiling swing is beaded with faceted Chrysoprase in a lovely shade of greenish blue paired with clear faceted Zircon. All the gemstone are natural and have tiny facets for extra sparkle. 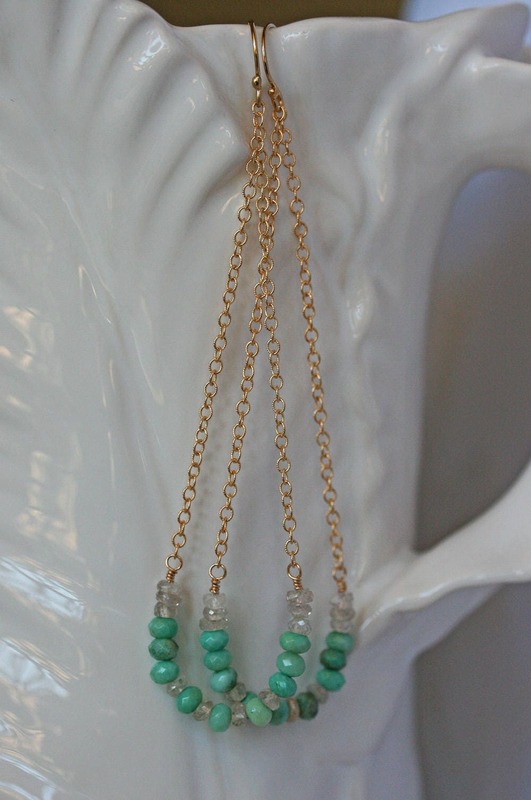 The summer swing earrings come in several gemstone color ways. 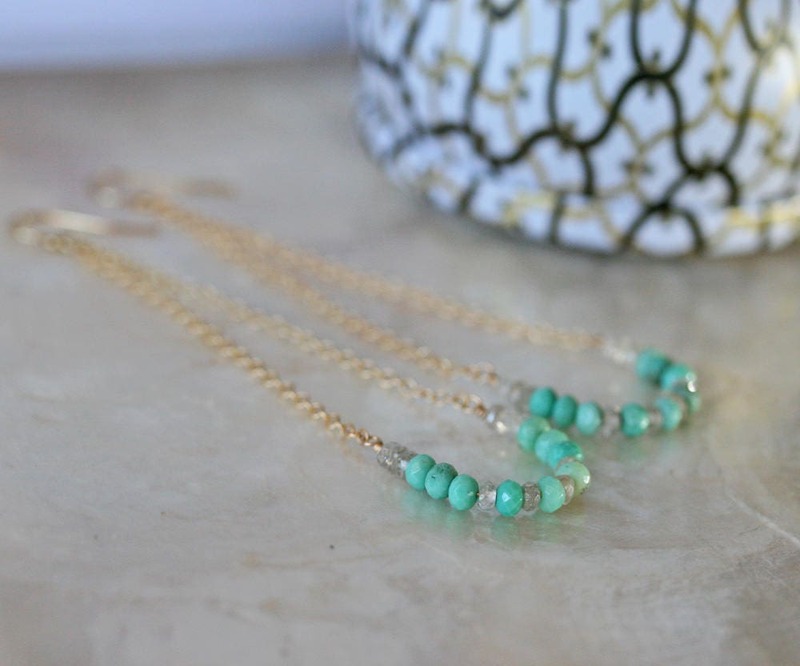 The Chrysoprase earrings are available in Sterling Silver and 14k gold filled and come in two lengths; 2 3/4 inch and 3 3/4 inch. The 3 3/4 are shown here. Why Gold Filled is better than plated? Quality! It contains 100% more gold than gold plated. With proper care, it lasts a lifetime, It looks exactly like real gold. It's affordable. It regulated by the government whereas gold plated is not. The chain, hoops and findings in this jewelry is 1/20 14k gold.